Yet more Lego, but SpaceX lego this time which is awesome. 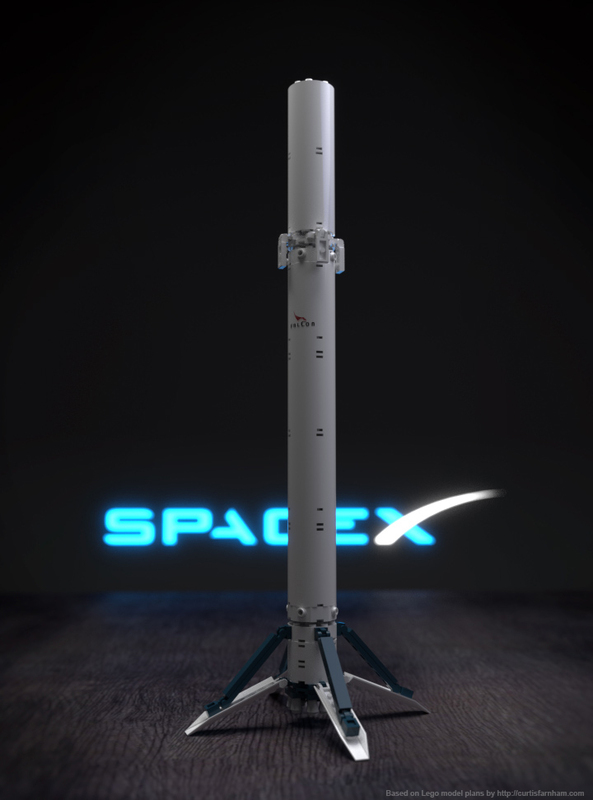 Curtis Farnham (http://curtisfarnham.com/lego-spacex) has kindly put his Lego plans for a Falcon 9 on his website. A bit of LeoCad later and the model is in Blender. I wish I had all the Lego parts to actually make this. Incidentally, I had to start learning Python to get this model working in Blender. Perhaps I’ll polish the code up and publish it here at a later date.